It’s Worth the Drive From Duluth! If you live in Duluth, you’re used to hopping in the car and driving to Superior to receive quality goods and services. It’s just how things work these days. When it comes to your and your family’s dental care, you’re not far away from a team that offers better care in a modern environment. Drs. Clark and Clark at Hill Avenue Dental provide comprehensive dentistry for patients of all ages in and around Superior -- including Duluth! Dr. Doug Clark, Jr. has been practicing dentistry for over 30 years. He studied at the Marquette School of Dentistry and has since completed courses at the Las Vegas Institute for Advanced Dental Studies. He received the Children’s Dentistry Award for his work with the Oneida Indian Clinic. Dr. H. Douglas Clark III also studied at the Marquette School of Dentistry and joined the team at Hill Avenue Dental in 2004. He remains committed to advancing in the field through his engagement in a number of continuing education courses and professional organizations. 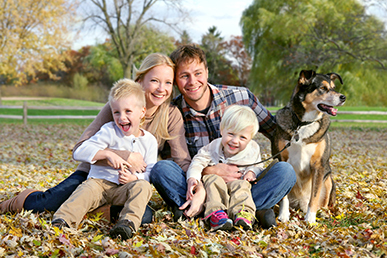 Both dentists are passionate about providing experienced, compassionate care for patients of all ages in the Superior area -- just like you and your family! When you visit Hill Avenue Dental, you will find all the services you and your family need to maintain clean, healthy smiles. Drs. Clark and Clark begin all treatment plans with a general examination of the teeth and gums. X-rays allow your dentist to peek beneath the visible surface to detect any issues that may be lurking between teeth or on their roots. A cleaning from your dental hygienist removes plaque and tartar from your teeth and around the gums. If any issues are present, your dentists offer a number of restorative treatments to get your smile back on track. Especially convenient for people making the drive into Superior are CEREC one-visit crowns, which allow your dentist to plan, prepare, and place a dental crown in a single appointment. Once your teeth are as healthy as can be, we look forward to discussing your options in cosmetic dentistry -- like teeth whitening, porcelain veneers, and all-ceramic restorations! It’s Worth the (Short) Drive from Duluth! It’s about a 15 minute drive from Duluth to Superior to your new dentist’s office. Just hop on 35, cross over the bay and you’ll be here before you know it! We are right beside the University of Wisconsin-Superior on, you guessed it, Hill Avenue. Our office is pretty easy to find, but if you get lost along the way, don’t hesitate to get in touch with us at (715) 392-5161. We’ll lead you right to our doorstep for the high quality dental care you’re seeking! You and your family deserve the very best in everything, including dentistry. To learn more about the complete range of services offered at Hill Avenue Dental or to schedule an appointment for you and your loved ones, please contact us today.